The incident has been described as “utterly depressing and shocking”. THE PSNI HAS confirmed that it is investigating a picture that shows a five-year-old girl with a sectarian slogan painted across her face. 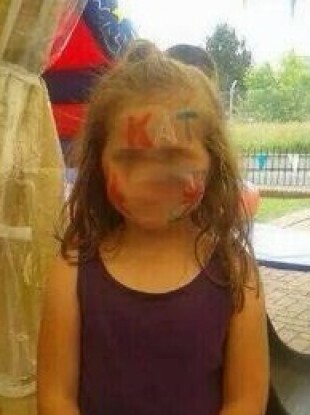 The image, which has been shared extensively online, shows the girl at a Twelfth of July party with KAT in the colours of the British flag painted on her forehead. KAT is an abbreviation of the anti-Catholic slur “Kill All Taigs”. The PSNI told TheJournal.ie that the picture had been reported. The Irish News, which first reported the story, quotes the unnamed girl’s mother as saying that she hadn’t seen the facepaint before it was done. The paper adds that Alliance Party MP for East Belfast Naomi Long called the incident “utterly depressing and shocking”. Email “Police investigating after "Kill All Taigs" facepainted on five-year-old goes viral”. Feedback on “Police investigating after "Kill All Taigs" facepainted on five-year-old goes viral”.